Designed to be buried within the waterfall, these tanks create a uniform sheet of water over the weir. They also help avoid common leakage problems. 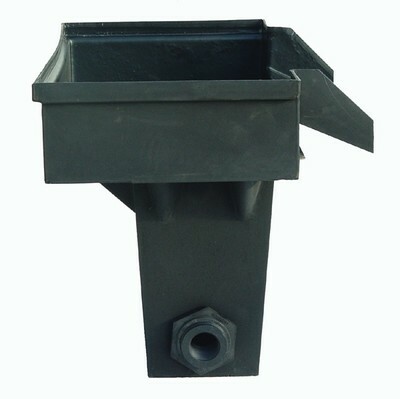 The aluminum angle is bolted to the housing via molded in T-Nuts. 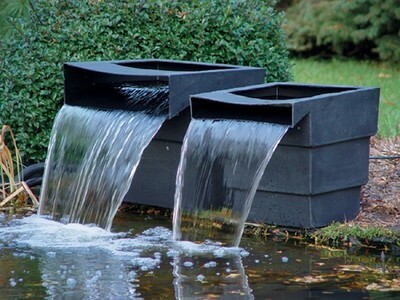 It's the perfect way to attach the pond liner for leakage free operation.